Two Week Break for Corona Constitution Class. 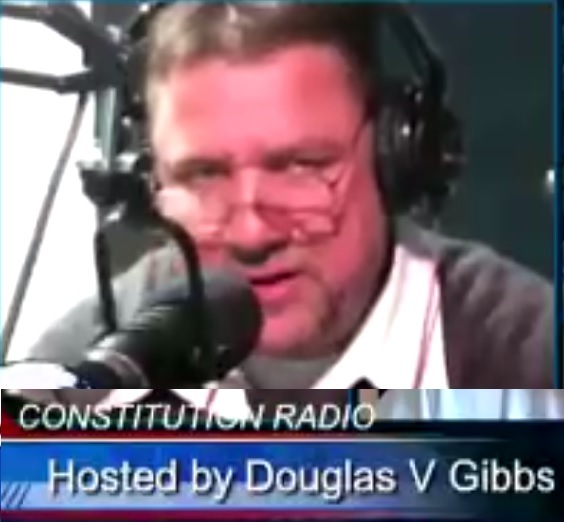 . .
Last Tuesday we finished going through the Constitution, discussing the final amendments. We start all over again from the beginning starting August 15. 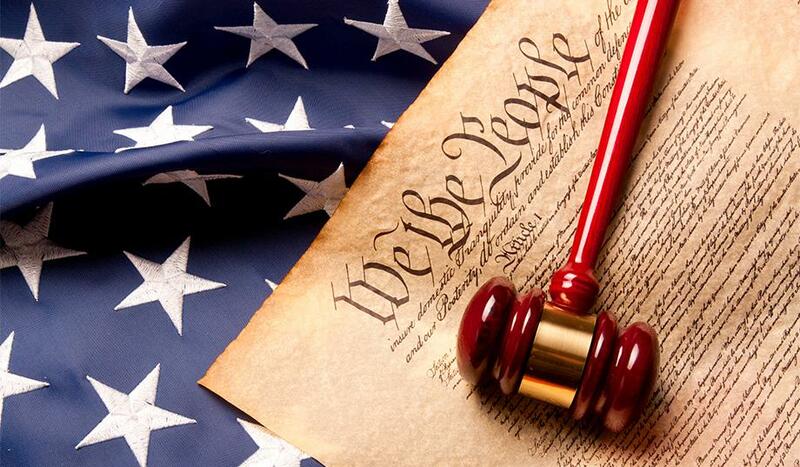 For those of you who are familiar with the Constitution Study program, this is a great opportunity to spread the word, and invite your friends, family, and others who are in your lives. For those of you who have never gone through the Constitution with me, this is a great opportunity to start from the beginning. So, in short, there are no classes for the next two Tuesdays (August 1, August 8 - I will be otherwise occupied on those dates), but we return August 15 in Corona to start from the beginning. See you then. 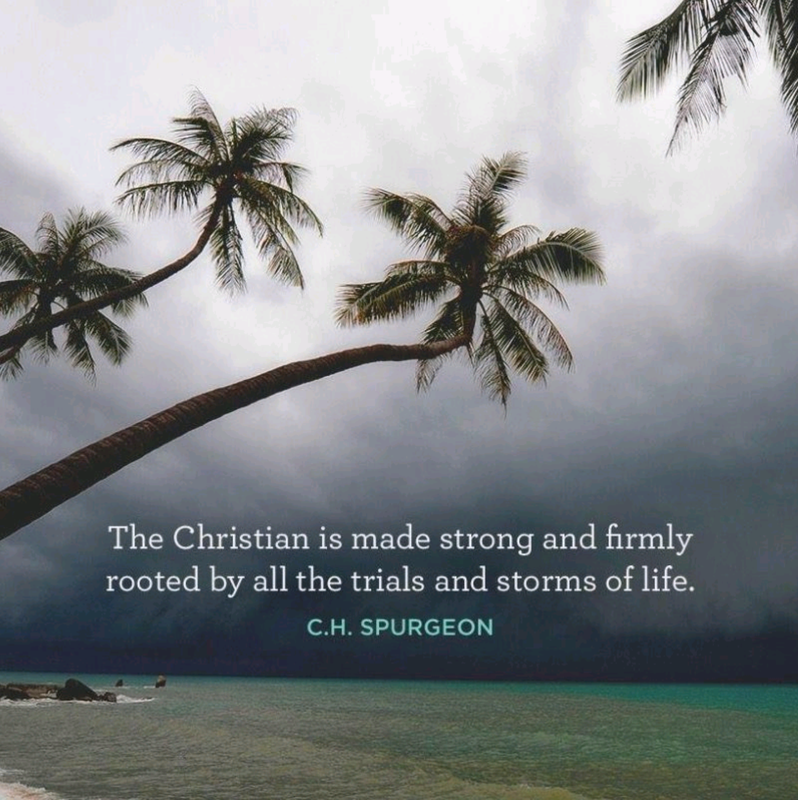 Dr. James Dobson said, during the 2016 Presidential campaign season, that Donald J. Trump had accepted the Lord during his new political journey, and Dobson's buddy was a witness to it. At an event in Los Angeles a couple months ago I talked to a pastor who told me two of his friends were in the room, and that Dobson's report is accurate. 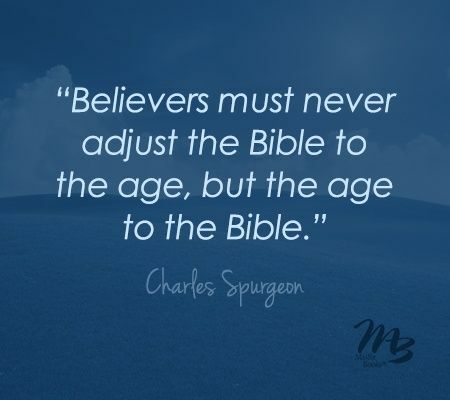 Trump grew up around the Christian message, so either be became born-again during the campaign, or he re-delegated, but either way, we are working with a baby-Christian. I have been operating on the assumption he's a baby Christian, and I have appreciated the Christian leaders Trump has surrounded himself with. But, now, the report is Bible Studies at the White House. Christianity is a part of our history, and our heritage. People once came to the White House to sing, pray, and worship. Prayer services were once held inside the U.S. Capitol. The Capitol was turned into a church, once a week, for decades. The White House was also the location of a number of Bible Studies. 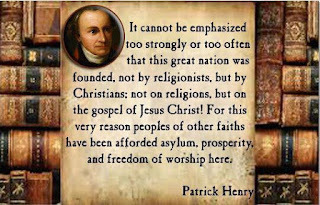 Presidents Thomas Jefferson and James Madison both attended non-denominational Christian worship services held inside the chamber where Congress was meeting at the time. It was George Washington who began the tradition of placing a hand on the Bible when taking the oath of office, and adding the words "So, help me God." The Founding Fathers prayed for God to bless the United States of America. 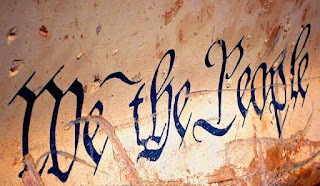 The ended the Declaration of Independence with a mutual pledge "with a firm reliance on the protection of divine Providence." Now, Donald Trump is in the White House, and we are seeing a kind of spiritual reawakening. Lately, Trump has been having a Cabinet Bible study, and it's no surprise, considering who the President has surrounded himself with. They've been called the most evangelical Cabinet in history – men and women who don't mince words when it comes to where they stand on God and the Bible. . . and they were all handpicked by President Donald Trump and Vice President Mike Pence. From CBN News: "I don't think Donald Trump has figured out that he chained himself to the Apostle Paul," [Ralph] Drollinger laughed. Attorney General Jeff Sessions also attends the study. For the most part I've been in agreement with Trump's decisions, and the people he has surrounded himself with. Bringing Anthony Scaramucci on board as communications director, however, left me scratching my head. The guy has a history of being critical of conservative positions, and is a loose cannon in many ways, especially when it comes to his mouth. The collateral damage of bringing Sacarmucci onto the team was the loss of Sean Spicer and Reince Priebus. 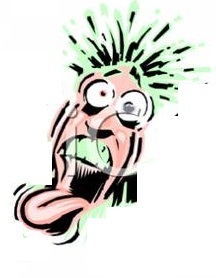 Scaramucci's mouth with profane attacks bled all over the White House drapes and carpets. And now, President Trump has seen enough, and has decided to remove Anthony Scaramucci from his position as communications director. The dismissal comes mere days after the latest verbal tirade by Scaramucci against other senior members of the president’s senior staff. Ten days is all it took. It should have taken less time. tAccording to the New York Times, the decision to remove Mr. Scaramucci, who had boasted about reporting directly to the president, not the chief of staff, John F. Kelly, came at Mr. Kelly’s request. Mr. Kelly made clear to members of the White House staff at a meeting Monday morning that he is in charge. The Trump administration has been among one of the most active presidencies in history. Following Obama, there is a lot of work that needs to be done to get things back on track. The problem is, the U.S. Senate has not been as cooperative in that effort as one would like (with a special thanks to turncoats McCain, Collins and Murkowski). The failure to get Obamacare repealed is the story we are hearing about the most, but the truth is, the U.S. Senate is also way behind on the confirmation of Trump's nominees to various federal court positions. The Democrats know the margin of a Republican majority is thin, and if anything, with the turncoat members of the GOP in place, the Democrats pretty much have a majority in the Senate. So, the Democrats are using a number of strategies to delay confirmations on judges. Among the strategies, Democrats are refusing to blue home-state senators from submitting “blue slips” showing their consent to advancing the nomination. The American People voted for a president they believed would be able to stand up to the leftist madness, and do what is in the best interest of the union of States. A part of that job is to nominate federal judges who adhere to the country's laws, and the original intent of the United States Constitution. The Senate's job, which was originally the voice of the States rather than a bunch of ideologically fanatical democratically elected buffoons, is to review the qualifications of the nominees, and confirm or reject them based on a hearing that includes questioning the potential judge. It's not happening because the Senators are refusing to even allow the nominations to get out of committee. 120 vacancies exist in the federal courts, but the Senate Democrats are doing all they can to make sure the new judges aren't even questioned, much less installed. The Democrats fear Trump's nominations, so they are trying to delay the process as much as possible on 120 vacancies so as to not lose any courts or panels dominated by left-leaning judges. Remember, these are the same Democrats who screamed that the Republicans were willing to wait months over a Supreme Court nomination. . . yet for over a hundred inferior court seats, the Democrats are willing to stall for years. 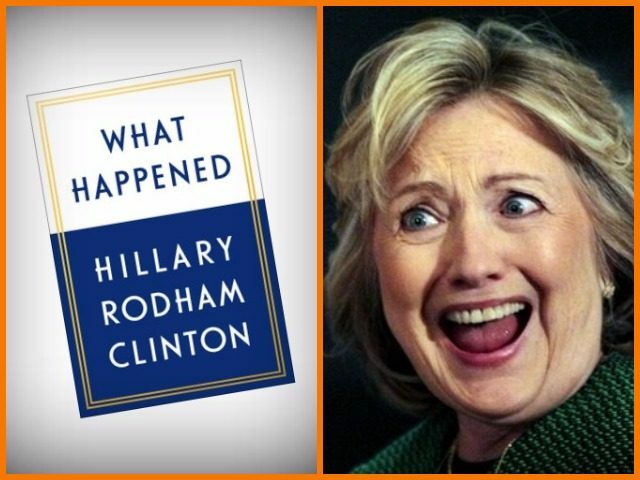 Hillary Clinton is writing a new book. Rather than arguing that it takes a village, now she's trying to figure out "What Happened." I hear its an "everyone's to blame but me" kind of work of fiction. The reality is, she does not realize that many Americans have seen through her and Bill, and we know who they really are. She's a liar and a manipulator who began her career of deception when she was fired from the legal team in Nixon's impeachment for committing fraud. Bill is just as bad, having been disbarred from legal practice. Meanwhile, as Hillary claims to be a feminist, she also works with Muslim nations who do not support women's rights, but she works with them for their money - a practice that reminds me much of the oldest profession. She's dishonest and manipulative, with no ideas except communism. She broke the law and laughed in the face of the investigators and the American people, because she believes she is above the law. Power and money ranks higher on her list than love of this country. I wonder if she understands. She's looking at the woman in the mirror, but she's not willing to make a change to make the world a better place because she's religiously attached to an ideology that wants to place the world under authoritarian control. Admiral James A. Lyons, Jr., USNA '52, USN (Ret), former Commander US Pacific Fleet, discusses the need to restore the “Military’s Moral Underpinning” in his Washington Times Op Ed. It is so appropriate and timely in light of President Trump’s decision to terminate the induction of transgender people into the US Armed Forces. Thousands of young straight military recruits being raped in their barracks, many of those straight military recruits went AWOL to avoid being raped in their barracks at night. The latest addition to the United States Navy's list of sea-going vessels is the USS Gerald R. Ford, the Navy’s newest aircraft carrier. The vessel is not only new as an addition, but brings with it an incredible array of technology. Now, the ship has successfully launched and landed an aircraft with advanced digital, magnetic technology, which replaces the older steam-driven catapult system. 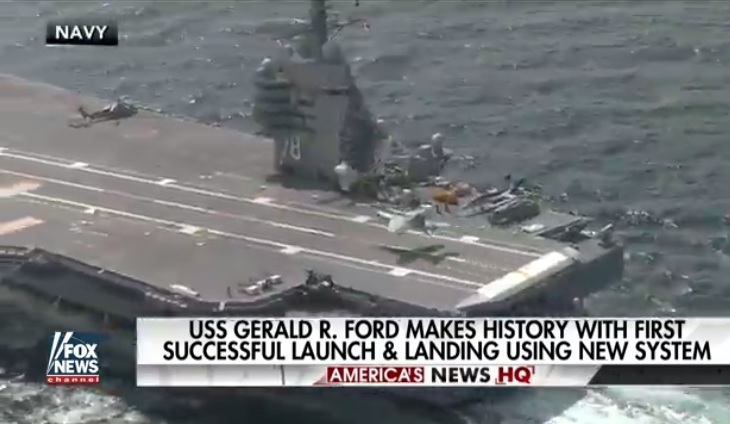 "Today, USS Gerald R. Ford made history," said Adm. Phil Davidson, commander of the U.S. Fleet Forces. "Great work by the Ford team and all the engineers who have worked hard to get the ship ready for this milestone." Constitution Radio with Douglas V. Gibbs on KMET 1490-AM at 1:00 pm Pacific (live). 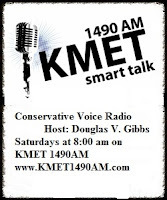 Catch the program online at KMET 1490-AM, or the podcast later on Sound Cloud. Chris Logan has been sending out his warning since 9/11. He understands the threat of Islam. It's been a long war, and it's far from over. 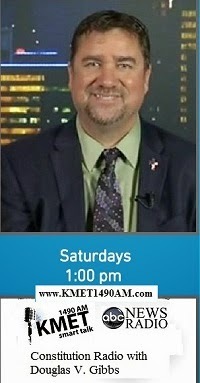 Chris Logan is on Facebook, and president of the North American Infidels to sound the warning. . . Logan's Warning. Questions about Islam? Logan can answer them. Gone from Trump. . . 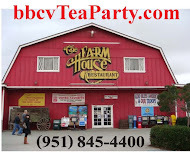 Host Douglas V. Gibbs leads a round-table discussion with members of the Banning-Beaumont-Cherry Valley Tea Party (Glenn, Jan and Diane) on Conservative Voice Radio, KMET 1490-AM, every Saturday at 8:00 am Pacific Time. An Obama official made “hundreds of unmasking requests” during the final year of the previous administration. House Intelligence Committee Chairman Devin Nunes, R-Calif., has questioned whether Obama officials improperly sought the names of Trump transition members. Intelligence agencies typically are required to conceal the identities of Americans picked up or mentioned in surveillance of foreigners in the U.S. Formal requests need to be made to release those names. The Conservative Never Trump crowd is interesting. They are like Climate Change fanatics who see anything going on in the weather as evidence to support their myth of man-made global warming. The #nevertrump folks said when Reince Priebus was chosen as Chief of Staff that it was proof Donald Trump was a liberal, because he put a RINO (Republican In Name Only) in as his Chief of Staff. 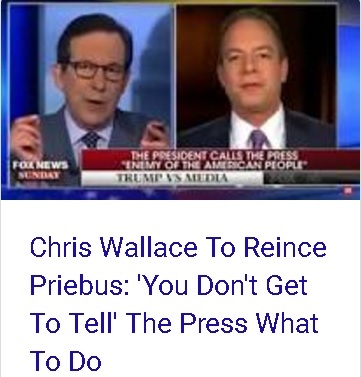 Reince Priebus resigned last night and now the #nevertrump folks are screaming, "See, he's losing the conservatives around him, and replacing them with liberals. That proves Trump is a liberal." Which is it, #nevertrump'rs? Is Priebus a RINO, or a conservative? The Priebus resignation closely follows the departure of Press Secretary Sean Spicer, another guy I really did not want to see go. The cause, if we want to believe there is a cause and effect thing going on, here, is the hiring of a gentleman named Anthony Scaramucci as the guy in charge of White House communications. Spicer did not like the hiring of Scaramucci, so in protest, he bailed. 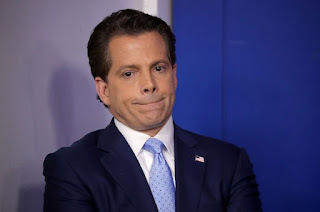 The reasoning is that he didn't like that fact that the new White House communications director would be taking over some of Spicer's duties, but I think it has to do with the fact that Scaramucci's past comments and political record doesn't exactly fit the conservative mold that Trump has largely been trying to fill. Priebus, it is believed, is simply another casualty from the Scaramucci earthquake. Priebus' replacement will be Homeland Security Secretary John Kelly. Kelly is a retired general who had been leading Trump's efforts regarding immigration enforcement. Kelly will start in his new role as Chief of Staff on Monday. "I am pleased to inform you that I have just named General/Secretary John F Kelly as White House Chief of Staff. He is a Great American ... and a Great Leader. John has also done a spectacular job at Homeland Security. He has been a true star of my Administration," he tweeted. Kelly used courteous language in his statement, as well. "I have been fortunate to have served my country for more than 45 years - first as a Marine and then as the Secretary of the Department of Homeland Security. "I am honored to be asked to serve as the chief of staff to the President of the United States." Congressmen and members of Trump's staff have both applauded the choice of Kelly. "Reince is a good man,” Trump told reporters at Andrews. “John Kelly will do a fantastic job. General Kelly has been a star, done an incredible job thus far, respected by everybody. He's a great, great American. Reince is a good man." A day earlier, Scaramucci was quoted in a New Yorker story using not-so-courteous-language as he bashed Priebus and seemed to accuse him of leaking to reporters. “Reince is a f---ing paranoid schizophrenic, a paranoiac,” Scaramucci was quoted saying. “I think Gen. Kelly is a brilliant pick,” Priebus said in an interview on CNN, noting he would help Kelly with the transition for several weeks. Both Priebus and Spicer will be missed, but the Trump train will continue forward, anyways. More evidence regarding the Democrat Party's mafia-style tactics and "hide the evidence" tendencies led to the discovery of broken hard drives at the house of a Democrat Party IT guy (who also happened to be Muslim). Trying to flee from the country, the individual has been arrested. Now, the whole thing is adding up in interesting ways, and it is leading right back to the Clinton Crime family. The IT Muslim Democrat deceptive guy with broken hard drives who tried to leave the country is Imran Awan. Awan's lawyer is Chris Gowen. 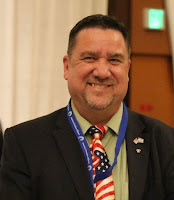 Gowen is a longtime campaigner for former President Bill Clinton and former Secretary of State Hillary Clinton and a member of an attorney team that brought a fraudulent lawsuit against energy giant Chevron Corp. In short, one of the Clinton's criminal buddies who has helped the Clintons in their criminal enterprises is now involved in defending Awan and his Islamic family members against allegations that they abused their access as congressional information technology administrators for dozens of Democratic members of the House of Representatives, including the former Democratic National Committee chairwoman, Rep. Debbie Wasserman Schultz of Florida. While the computer mayhem is expected by the criminals of the Democrat Party, the Muslim and Clinton link tells us our deep and traitorous the whole thing truly may be. Gowen's service as a traveling aid for President Clinton’s national and international trips, and as the person directing the advance operations for then-Senator Hillary Clinton during her 2008 presidential campaign, Gowen's connections to the Clintons shows how desperate the Clintons are to cover-up and kill investigations into the Democrat Party. This writer believes their fingerprints are all over everything illegal and corrupt in the Democrat Party, and that if discovered, how deep the criminal activity by the Clintons and their Democrat minions goes will destroy the political party forever. 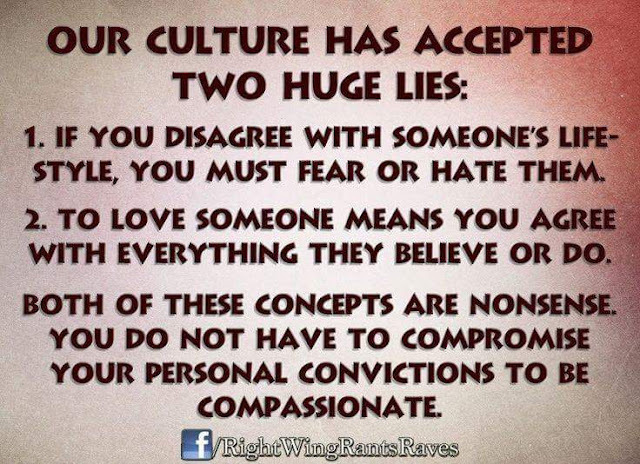 While some Americans may buy into the Democrat Party's leftist message, they will not stand for the kind of lying, deception and criminal activity I believe the Democrats to be guilty of. Conservative Review, which first reported Gowen’s extensive Clinton connections Wednesday, said they also include work for the Clinton Foundation and its Clinton Global Initiative and the Clinton Health Access Initiative. 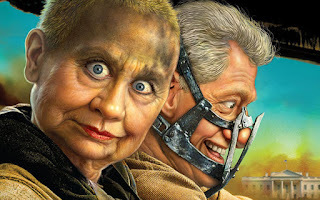 If he doesn't perform his job right, the Clintons will have no problem doing what they do to all of their connections they think may not be up to snuff. . . by snuffing him out. 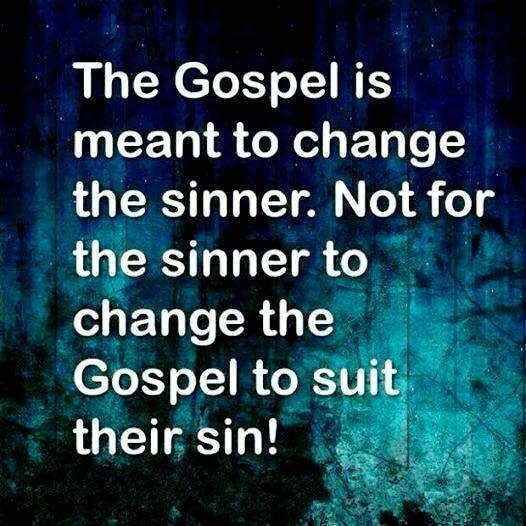 Apparently so. Well, he'd be better than any democrat. . . especially the incumbent, Debbie Stabenow, the current Michigan Senator since 2001. 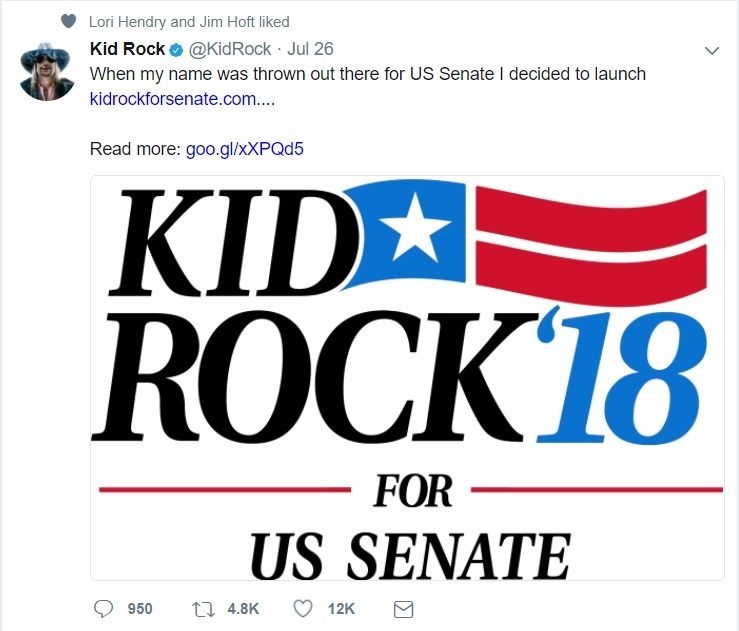 GO, KID ROCK! Is it a case of it has to fail to succeed? Will this rejuvenate the Republicans and convince them to finally get it done? Thanks to the narrow defeat of the skinny repeal 49-51, the Republicans are moving on. 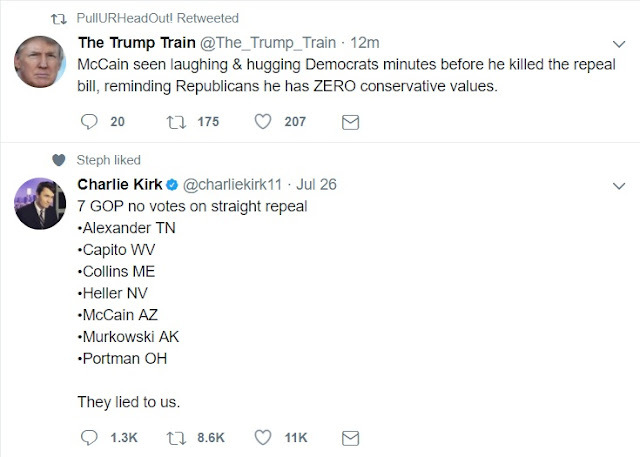 They've given up on repealing Obamacare. 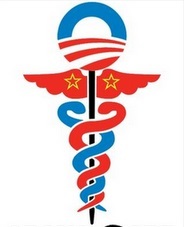 After seven years of campaigning on repeal, Obama is still haunting the United States with his socialist change to the American Health Care System because the GOP can't seem to do what they say they'll do. Conservative Voters will be infuriated, and I am betting we will see a very interesting 2018 Mid-Term. Now, will the mid-term in 2018 mean big losses for moderate Republicans and put a number of Democrat seats in jeopardy in an attempt to get who we need in there to repeal Obamacare, or will GOP voters throw their hands up and give the Houses of Congress to the Democrats? A process is now in play. Mitch McConnell will now feel he has to play games, that he must begin to compromise with an enemy that doesn't compromise, and the Trump Tweets are going to go wild. The Democrats are rejoicing, and the media will once again call the GOP legislative branch impotent. The problem is, the discussion about the failures of Obamacare is not being discussed. The people like me who lost health insurance as a result of Obamacare, the States where only one provider is left, and the skyrocketing costs of premiums with out of reach deductibles, has barely been in the conversation. We've been betrayed, and I have a feeling the Republicans are going to now table Obamacare until after the mid-terms. 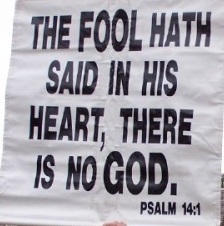 . . which means the ball is now in the court of the voters. Update: After midnight the Skinny Vote amendment failed. . . once again thanks to turncoat Republicans like John McCain, and Alaska's Murkowski, and Susan Collins. Final Tally: Yea 49, Nay 51. Senator McConnell called it a "disappointment." As news has spread across the country that the latest attempt to repeal Obamacare has failed, we find ourselves confused. Isn't a full repeal the same bill the Republican easily garnered enough support for in 2015, but then Obama vetoed it (as expected)? But now, with control of both Houses of Congress, and a GOP President, the Republicans can't bring themselves to repeal Obamacare? Another question: Why aren't the Republicans considering Ted Cruz's ideas? During the presidential election I was not a huge fan of Ted Cruz. Aside from eligibility questions, I wasn't sure he had the temperance needed as the country's executive, and more specifically, if he had the chutzpah to withstand the ongoing attacks a GOP president was going to receive from the liberal left Democrats. That said, I love the guy as a U.S. 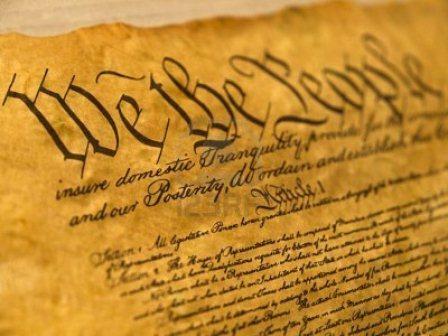 Senator; and while I am not a believer he understands the Constitution as much as he should, he understands constitutional principles heads-and-tails over most of his congressional counterparts. Cruz's plan is less replace, and more repeal. Obviously, there are some concerns. In reality, full repeal is what is needed. Any federal influence into consumer activities in an unconstitutional attempt to protect consumer interests should not be there at all. Individuals with pre-existing conditions, included. I am not saying we should screw those people, I am saying it is none of the federal government's business. Let the States worry about having a safety-net and using State programs to help those who can't afford insurance, or have pre-existing conditions that insurance companies won't touch. Cruz's plan also redistributes funds between exchange plans according to the proportion of disease burden of individuals enrolled in each. Again, none of the federal government's business. However, that all said, Cruz and folks like Rand Paul are seeking to get the federal government out of healthcare as much as possible. That is, indeed, the constitutional answer. If only we can get them to realize that the Republican disease of stammering and unwillingness to vote in a way they were willing to when Obama was in office is not only unconstitutional, but will likely be what leads to many of them losing their seats in Washington D.C.
Why is it that every time a Muslim does exactly what conservatives say they will do, because Islam teaches violence and murderous rage against anyone who is not Muslim, the liberal left loonies circle the wagons and then point fingers away from Islam? In Minneapolis, Minnesota, a Muslim cop (Somali in this case), who took an oath to not act in a barbaric Muslim manner because his job is to uphold the law as a member of law enforcement, to everyone's surprise suddenly went all jihadi on everyone's butts, and shot dead an unarmed woman in cold blood. The response of Mayor Betsy Hodges? She then in turn urged Muslims to file hate crime claims, and then on Facebook directed Muslims on how to file hate crimes claims. In her mind, she is assuming that the poor Muslims will be the victims of hate and prejudice by people who just don't understand their "peaceful" religion as a knee-jerk reaction to this shooting. She's confused. She is trying to understand. How is it that this seemingly non-extremist Muslim member of her police force suddenly went extreme on everyone? I am sure she believes his violence was the result of something done to him by some mean ol' Trump supporter, somewhere. A Muslim woman once asked me, "Why is it whenever there is violence you automatically assume that it was a Muslim who committed it?" "I don't automatically assume it was a Muslim," I said, "but I am never surprised when it turns out to be a Muslim." "The violence being committed in the name of Islam does not follow the teachings of Islam," she claimed. "Until the violence stops in the name of Islam, I don't believe you," I said. "If you want me to stop assuming violence and Islam are not synonymous with each other, clean up your house." The problem with the liberal left progressive socialist communists is that they either believe the taqiyya people like the woman I was talking to vomits upon us, or they welcome the chaos for their own political purposes (or both). Liberal nutcakes like Minneapolis Mayor Betsy Hodges automatically assumes that if jihad happens, the Muslims must be protected because then they will all be falsely accused of being capable of terrorism. . . even though the reality is that in that community, a majority applauds and supports the violent actions of their jihadi counterparts. If the shooter had somehow turned out to be a Trump supporter, however, the mayor would have no doubt demanded that the entire Trump supporting community, and Trump himself, be held responsible for the actions of one person. Mayor Betsy Hodges changed Police Department Policy to recruit and hire Muslims, saying “that effort will continue”. It was Mayor Betsy Hodges herself who instituted the hiring policies in the police department to prioritize the hiring of Somali Muslims. Meanwhile, more than 22 young men from the Muslim Somali community has traveled overseas to be jihadist warriors as members of al-Shabab in Somalia, and roughly a dozen people have left in recent years to join the jihad in Syria, including the Islamic State group. In November, nine men were sentenced on terror charges for plotting unsuccessfully to join the group and fight in Syria. Separately, a 20-year-old Somali-American Muslim went on a stabbing rampage at a shopping mall in St. Cloud last September, wounding 10 people before an off-duty police officer fatally shot him. The blood of Justine Damond, and every other victim of Islamic violence in Minneapolis, is on Mayor Betsy Hodges' hands. You don't protect us from poison by circling the wagons around the remainder of the poison. You protect us from poison by removing the poison. 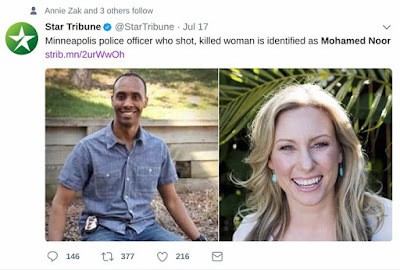 Encouraging Muslims to be in law enforcement poisons the police force, and situations like the shooting of Justine Damond was inevitable in a community encouraging Muslims to be on their police force.